If you’re missing teeth, you’ve probably heard about dental implants, but may not be exactly sure what they are. Perry Hall Family Dental can help. Whether you are missing a single tooth or a whole mouthful, we can find the implant solution that is right for you. Missing teeth are more than an esthetic problem, as it puts your oral health in jeopardy as well. Healthy teeth can shift to compensate for the gap left by missing teeth, and your bite can be affected. Over time your bone can deteriorate, risking your oral wellness. Dental implants are a permanent answer to missing teeth. First, a titanium post is surgically placed into your jaw, which fuses to the bone as it heals. The post acts as the “root” for a custom-created prosthetic tooth. Dr. Andrew Fried is highly skilled in implant dentistry techniques, and since he places and restores implants, he’ll be with you each step of the way. Mini-implants: These narrower implants are excellent for front teeth, pre-molars, or other smaller teeth. Mini-implants are an affordable way to replace a single tooth, and the procedure is generally less invasive. Implant-Retained Dentures: Just like regular dentures, but without the worry! Anchored by four dental implants, these dentures won’t accidentally slip out or come loose. Since they won’t shift or cause friction, they are more comfortable and you can wear them with confidence. All-on-4: A fixed, permanent option for patients with a series of missing teeth. Like a dental bridge, these prosthetic teeth are anchored by four dental implants. No matter which dental implant is right for you, you’ll always get the care and comfort you expect from Perry Hall Family Dental. 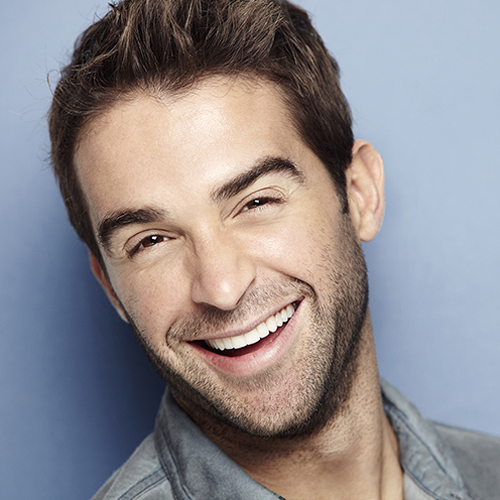 Find out how we can restore your missing teeth and bring back your beautiful smile. Stay with the dentist you trust. Call us for a dental implant consultation – 410-256-6760 – and see what you’ve really been missing!